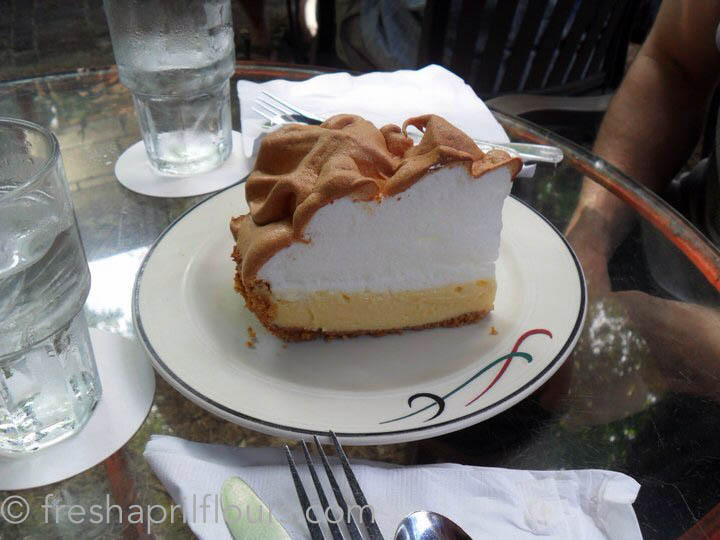 My first experience with key lime pie was, naturally, in Key West, Florida. I took Matt on a cruise for his college graduation present (yep, pretty great girlfriend– he proposed 6 months later! ), and our first stop was Key West. 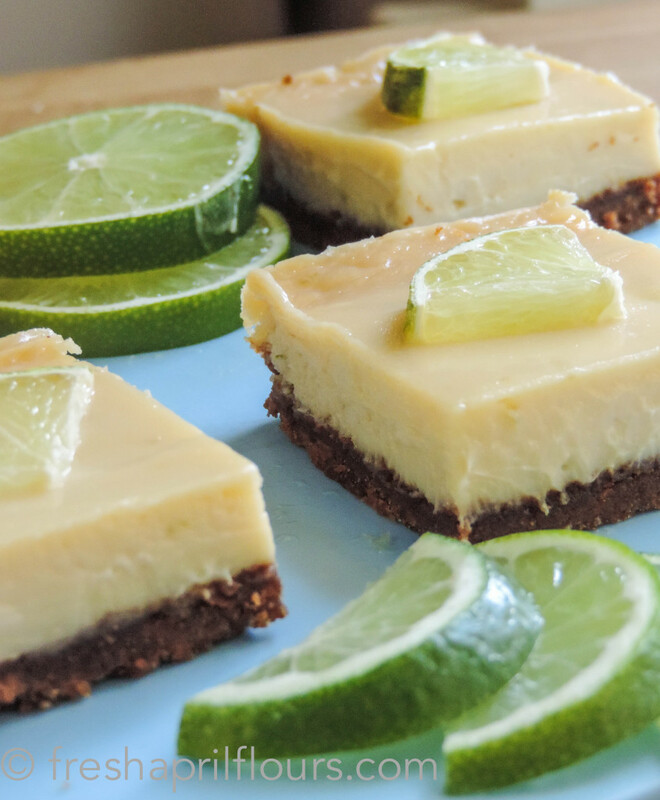 We knew it wasn’t going to be a beachy port, so the only thing on our “must do” list was to get key lime pie, duh. While we were walking down Duval Street, we figured our best bet was to ask a local where the best place to get a slice was. We were directed to a restaurant called Blue Heaven, and oh my goodness gracious, I wish we could have gone back to find the man who sent us there and thanked him for directing us to an amazing treat! When we told our waiter what we were there for (at 9am), he told us that Adam Richman had been there just a couple weeks before specifically for the pie while filming an episode of Man vs Food. Before we even had a bite, we knew we were in the right place! 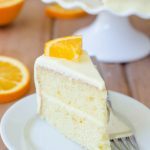 Sidenote: let’s take a moment to look at that amazing layer of meringue. It was so fluffy, and I remember thinking it was so delicious, I could have eaten a plate of it alone. 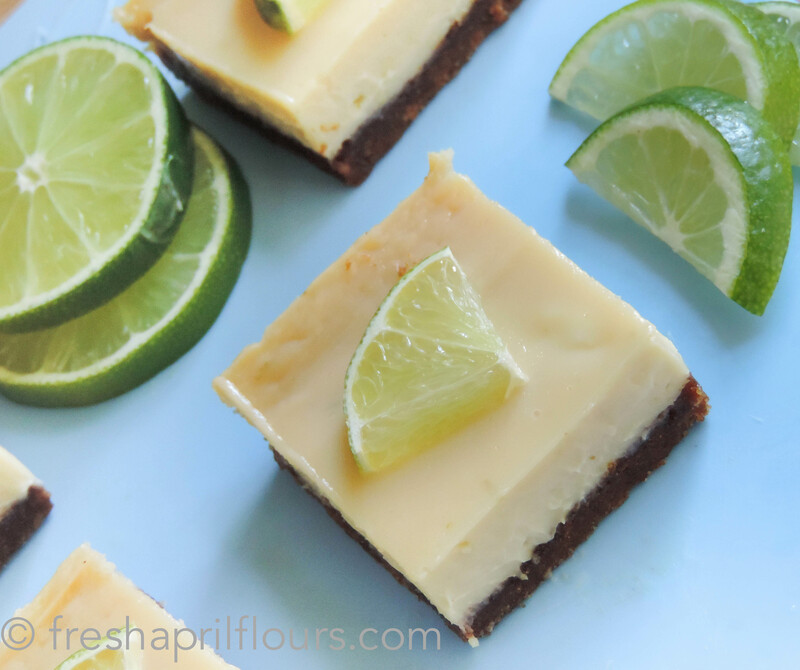 It was the perfect pairing with the lime filling and graham crust! The waiter brought us our pie and we were so confused. Maybe you already knew this because you’ve had key lime pie before, but I hadn’t, and neither had Matt, so we were surprised to find that it was yellow. Yellow! Aren’t limes green? Funny you should ask… Because although they look mostly the same on the outside, key limes are quite different from regular limes. First of all, they’re smaller, and can have a lighter green peel. 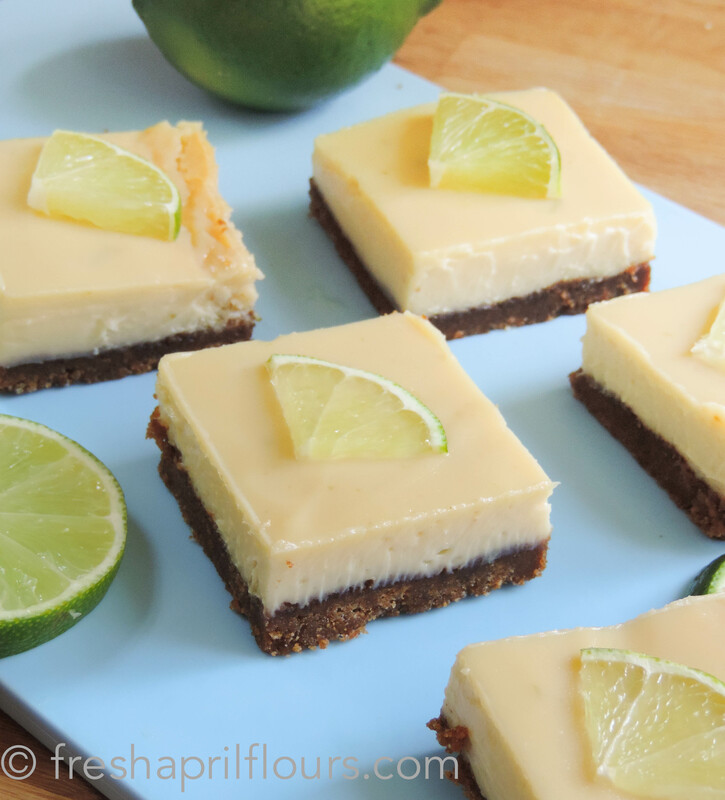 Secondly, they are a bit sweeter than regular limes (kind of like the whole lemon, Meyer lemon deal which I will get to soon via a citrusy sweet recipe) and have a slightly orangey taste. 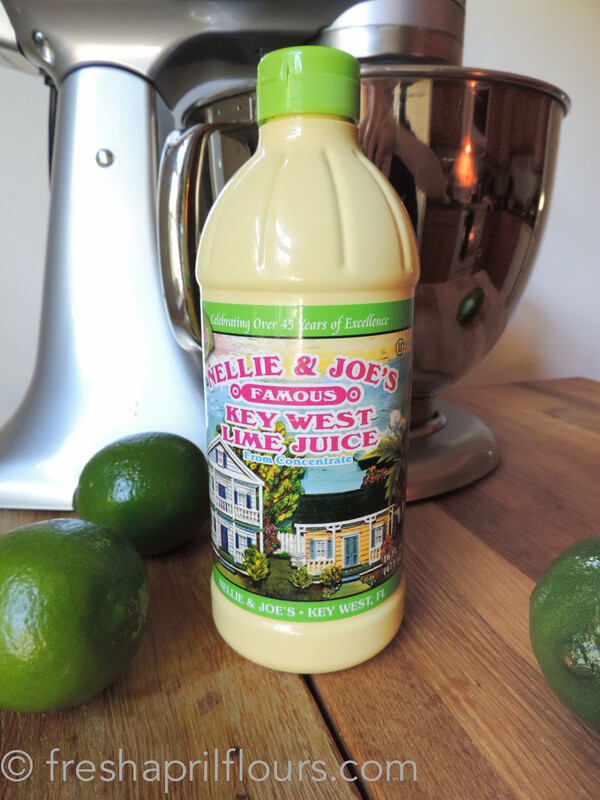 Since key limes are not so easy to find and they’re quite expensive, there’s a really great company (Nellie and Joe’s) that bottles up the juice nicely for your baking enjoyment! These bars are quite simple to put together. The hardest part is waiting for them to chill in the fridge or freezer before you can eat them! You’re going to start with a graham cracker crust for your base, for which I used my homemade graham crackers. 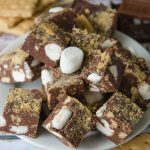 You may most certainly use regular graham crackers, but nothing beats the buttery flavor that the homemade ones produce (besides, with leftovers, you can make some s’mores)! When I decided I wanted to make these bars for a housewarming party I was attending, I knew I needed to make them sturdy because they would be outside. 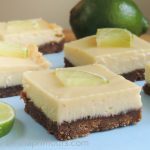 To help them hold up to the summer heat, I added some cream cheese to the mixture, and not only did it make the bars sturdy, but the creaminess mixed very well with the tangy lime flavor. 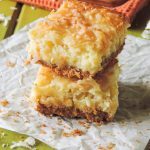 Egg yolks, some sweetened condensed milk, a little cream cheese, your key lime juice, and some lime zest is all you need for the filling! 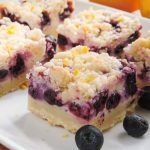 I brought these bars, fluffernutter bars, and blueberry lemon pie bars to the party, and the hostess (who is also a coworker of mine) declared the key lime were her favorite. As a salute to that, I whipped up a double batch for our company summer picnic last week. 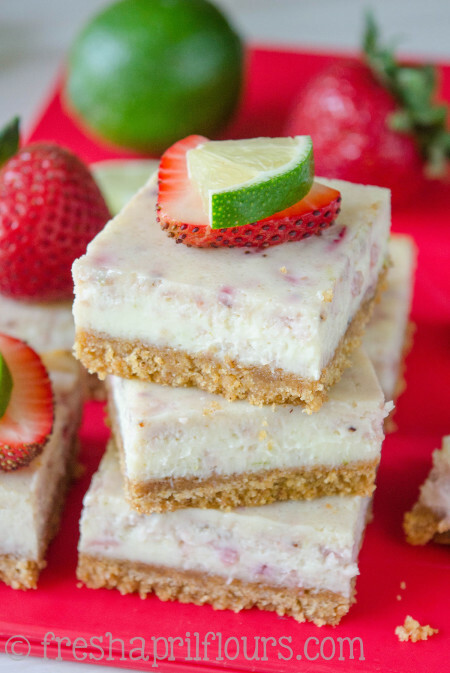 There were brownies, cookies, tons of fruit, a really delicious blueberry buckle, and cupcakes at this picnic for dessert, and these key lime bars were the only.thing.completely.gone. People even took some HOME! Not to mention, there was a ton of other yummy food to fill up on all afternoon, and people still had room for some key lime bars. 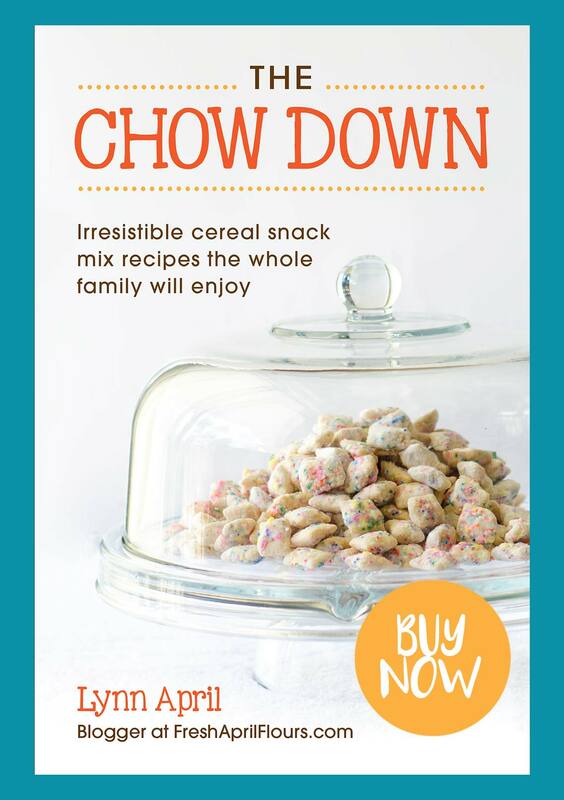 If that’s not enough evidence that you need to make these ASAP, I don’t know what else to tell you. 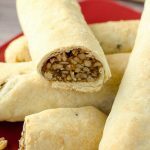 The creamy, tart filling pairs nicely with the oh-so-buttery and crunchy crust that it sits so perfectly on top of. 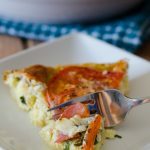 There is just enough tart to balance the sweetness, and it really satisfies the sweet tooth while also throwing some savory undertones in the mix. 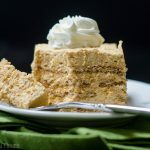 This really is a perfect dessert, and you should probably consider making it for your 4th of July celebration that’s coming up soon… I promise, this is easy, only takes a few ingredients, and will really wow your party guests. 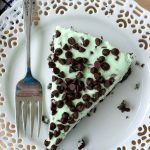 You might be their favorite person ever after sharing these. That’s a pretty bold statement, but my empty container is proof these bars are epic! 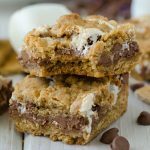 A creamy, tart filling sits on top of a buttery graham cracker crust... And so much easier than a whole pie! 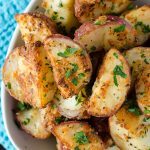 Preheat the oven to 350ºF. Line an 8″ x 8″ or 9″ x 9″ baking pan with foil. Leave an overhang on the sides and spray with nonstick spray. Set aside. In a food processor, pulverize graham crackers. Once crackers are a fine crumb, add brown sugar, ginger, and cinnamon. Pulse to blend. 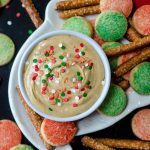 In the bowl of a stand mixer fitted with the paddle attachment, or in a medium sized bowl with a handheld mixer, beat cream cheese on high until smooth. Beat in egg yolks one at a time, scraping down the sides as necessary. 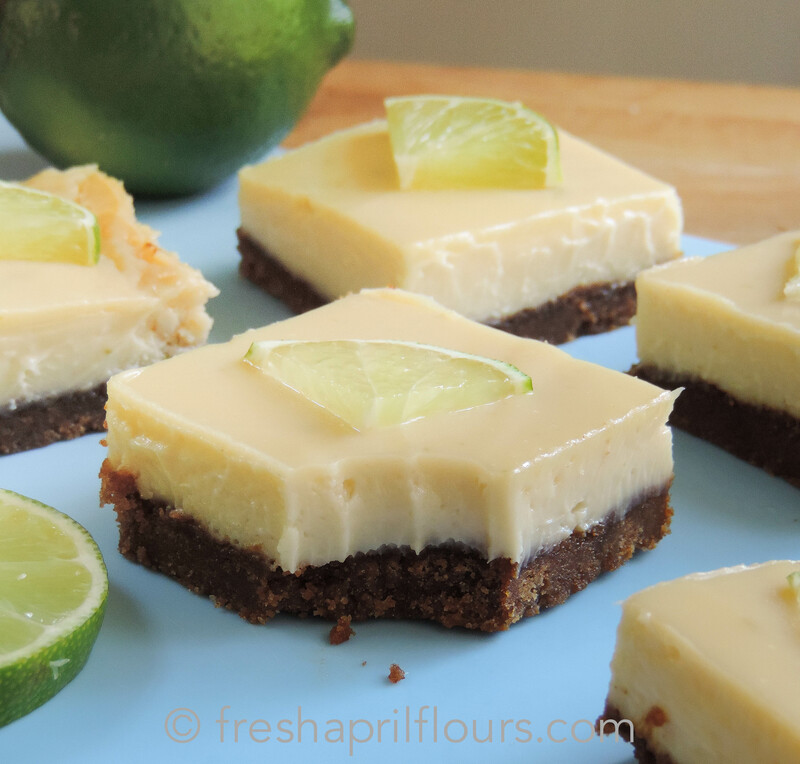 Beat in sweetened condensed milk, key lime juice, and lime zest and mix until combined. 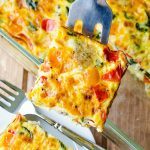 Pour filling into prepared crust and bake for 23-25 minutes. Edges should just start to brown and middle should no longer be jiggly. Allow pan to cool at room temperature on a wire rack. When completely cool, chill in the refrigerator for 2 hours, or in the freezer for 1 hour. 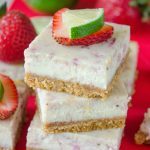 If you love these Key Lime Pie Bars, you’ll probably love the Strawberry Margarita Squares I made, too! I love Key Lime Pie, these look yummy! Okay Lynn they look delish! The proof will be if Rodger Hamrick likes ’em. Maybe they won’t make his stomach swell with an allergic reaction like most of my recipes!! Happy fourth! Haha, I hope he likes them! Enjoy your 4th– give everyone hugs from us! they look yummy! i love lime. Those bars sound sinful! LOVE key lime pie! Thanks, Michele! You should try them out! 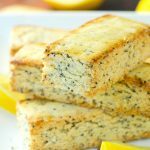 I plan to make these but I had a question, if I doubled the cream cheese but not the other ingredients, would it still work? Hi, Afia– no, it will not. You’ll need to double all of the ingredients if you’re going to double the cream cheese.